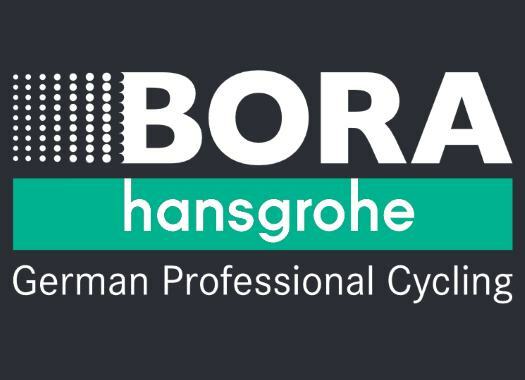 Bora-hansgrohe's Pascal Ackermann has taken the win on the second day of the Tour of Guangxi. The German champion was the fastest at the final sprint and beat Fabio Jakobsen and Dylan Groenewegen. The second stage of the last WorldTour race of the season was 156.7 kilometres long that was once more meant to finish in a bunch sprint. The escape of the day was formed at 15 kilometres into the stage and included riders like Cavagna, Alex Dowsett and Alexey Grivko, while in the peloton LottoNL-Jumbo, Quick-Step Floors, Bora-hansgrohe and EF Education First took turns to control the gap with the front. The escape was neutralised with four kilometres to go and soon the sprint trains were organised to position their main men for the final metres. Ackermann, who finished fourth the day before, crossed the finish line ahead of Quick-Step Floors' Fabio Jakobsen and the GC leader Dylan Groenewegen (LottoNL-Jumbo). "It was not easy today to get the timing right," said the German champion at the end of the stage. "It was hectic because of the rain, but also because the last 2 kilometres were on a big road and totally straight which made it difficult. "Yesterday we messed it up a little, but today everything went perfect. There are a lot of really strong sprinters here, so you also need a little bit of luck to get everything right. Today I had the position and also the legs. It was a great team effort and a deserved win."